Luíza Matravolgyi shares about making "Weaving Freedom." 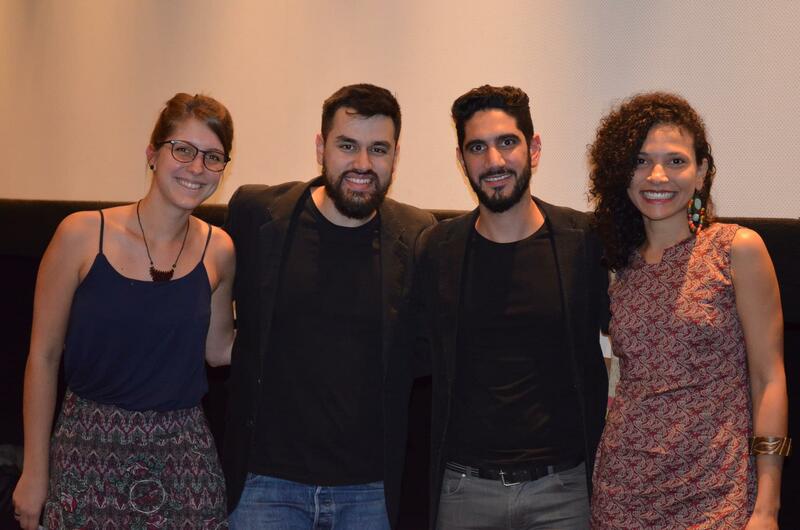 From left to right: Luíza Matravolgyi, Pedro Ferrarini, Eduardo Duarte e Carina Aparecida - award recipients. A little less than a year ago, H360 learned about Coostafe, a co-operative made of and managed solely by inmates at the Women’s Recovery Center of Ananindeua in Para (a state in the northern part of Brazil). Led by Carmen Botelho, the director of the prison, this is the first and only initiative of its kind in the country. This project is proof that it is possible to innovate the process of inmates’ recovery by employing solutions that allow those women to earn an income for their families while still in prison, and have an alternative to work and not return to crime once they find themselves out of prison. H360 told this story in the 6-minute long video “Weaving Freedom,” which was recently awarded the 1st Nelson Mandela Video Contest from the United Nations. 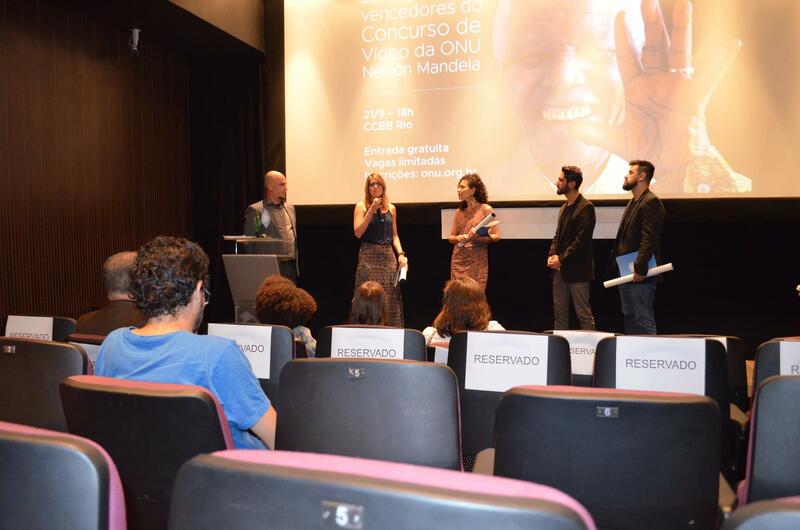 The contest, which has as its theme “The battle against poverty is a matter of justice and not an act of charity,” happened at the Cultural Center ‘Banco do Brasil’ (CCBB) in Rio de Janeiro, on September 21. The ceremony also served to celebrate the International Day of Peace. “The prison system has a perverse logic; it is a vicious cycle, because when inmates are freed, few have opportunities to reinsert themselves into society. 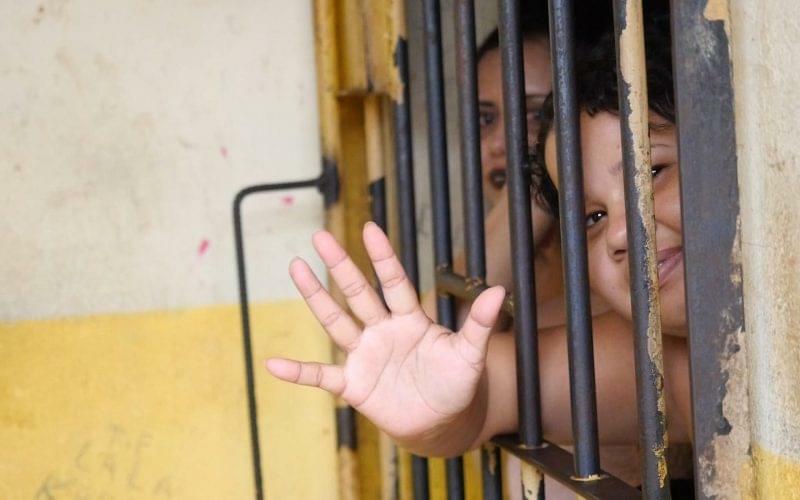 Coostafe breaks through this situation, giving inmates a real alternative for them to move on with their lives with a minimum of dignity,” says Luíza Matravolgyi of H360, who directed and co-produced the video. The criteria for evaluation of the films included script, acting (in the case of fictional pieces), aesthetics, originality, diversity and cohesiveness with the theme. The evaluation panel counted with Manoel de Almeida, Patricia Machado, Rita Brandão, Sérgio Rizzo and Werner Schünemann. Watch the video above.